Checkpoint Sandblast agent is a progressive new solution that extends advanced threat prevention to endpoint devices to defend against zero-day and targeted threats. With the capture and automatic analysis of complete forensics data, Sandblast Agent provides actionable attack insight and context to enable rapid remediation in the event of a breach. It provides purpose-built advanced Zero-Day Protection capabilities to web browsers and endpoints, leveraging on Check Points industry leading network protections. Deployement- Agent + Browser Ext. 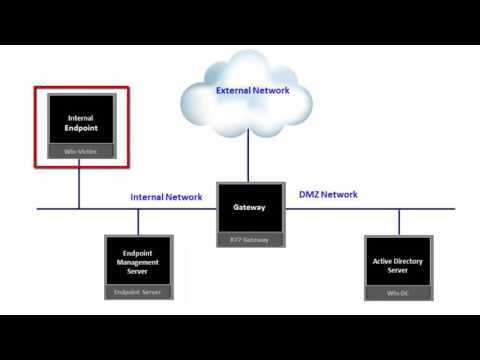 This video provides an overview of recommended process for deployment of Check Point SandBlast Agent on the Enterprise Endpoints. SandBlast Agent defends endpoints with a complete set of real-time advanced endpoint protection technologies, including Threat Emulation, Threat Extraction, Anti-Bot, and Advanced Forensics.